I am currently testing a new skincare set. 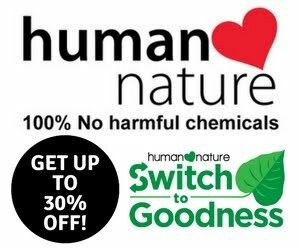 Last January, I have emptied my Himalaya Herbals Clear Complexion set and did not repurchase the items anymore to give way to something new. 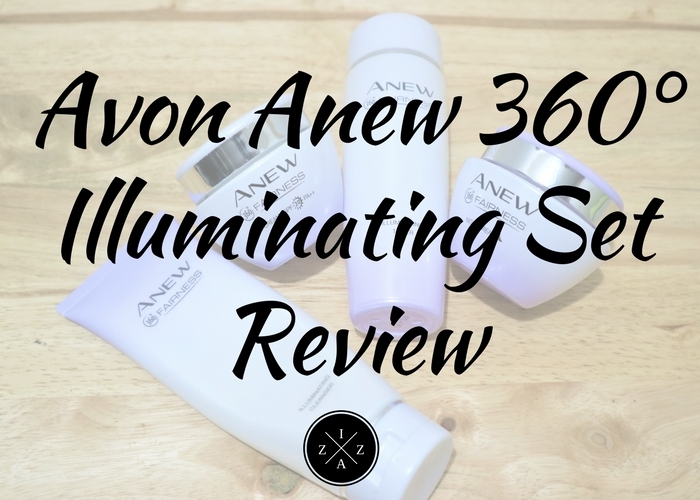 I am talking about the Avon Anew 360° Illuminating Set and today I'll be sharing my review a month of using. You can purchase this individually or buy it as a set to avail discount with a legit Avon dealer. This may seem on a pricey side but you'll get more product and based on my personal experience, a better result. I didn't mind spending 1000pesos for four full-size products that really works. 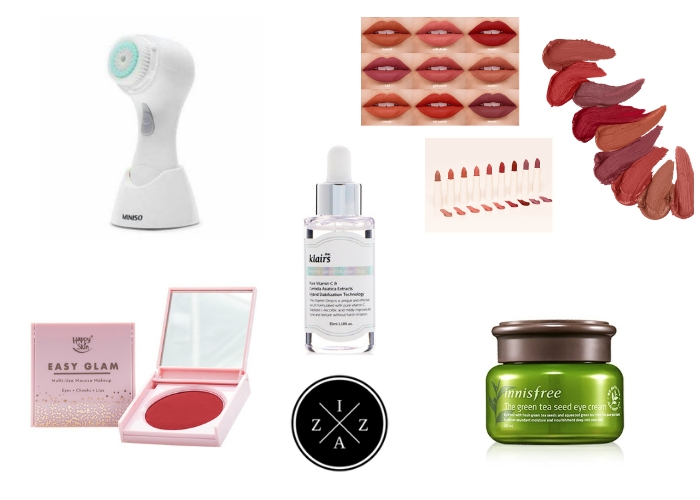 When it comes to cleansers I love something that gives me a squeaky feeling. I mostly go with either a foam face wash like the Nivea Deep Cleansing Mud Foam or something that little beads in it like SafeguardAnti-Acne Face Wash. The Avon Anew 360° Illuminating Cleanser is a mixture of both and I love it. It comes in a flip open cap which is convenient to bring for on the go like me. However, unlike the other cleansers I used this is the heaviest in terms of weight. I brought this on my Baguio trip and boy did it add weight on my baggage, haha. The Avon Anew 360° Illuminating Cleanser is available for 299pesos for 125g of product. ● Not only thoroughly washes off impurities, excess oils and rough skin, but also removes dead skin cells to make skin refreshed, supple and prepared for followed products. ● It is also said to be gentle on the skin and allergy tested. As you can see I am almost done with this cleanser. I really love this. No micro beads but still works well. Use in the morning and evening. Apply to wet hands and lather. Massage over the face. Rinse clean with water. Out of everything on the Anew set this is the one that gave me result in as fast as 3 days. I find myself looking forward to use it in the morning and night. After every wash my skin feels soft, clean and clear. The foam glides easily on the face creating a very rich lather. I also love the rich smell of this product. After about a week of religious use I noticed the great difference in the texture of my skin. It looks supple and feels soft. The breakout on my forehead diminished and I wasn't that oily compared before. For whitening I can pretty much say that a month of used did improve my skin tone. My face looks brighter day by day and walang halong biro I love how my face looks upon waking up the next day. I can compare this Avon Anew 360° Illuminating Cleanser with the Olay Total Effects7in1 Cleanser I've used before. It is really foamy and a little comes a long way. Before using this Avon Anew 360° Illuminating Toner I was loyal to the Dickinson'sWitch Hazel Toner from Healthy Options for the late part of 2016 to early 2017. I even bought the biggest bottle and religiously used it. But since I wanted a set I did moved from Witch Dickinson's to Avon Anew 360°. This toner is available for 299pesos for 100ml. ● Be specifically developed for women with dark, uneven skin tone and discoloration issues. ● It visibly addresses all kinds of impurities for a smoother and flawlessly fair skin. ●Instantly hydrates and soothes skin and helps to optimize the absorption of serum or moisturizer. Malapit ko na rin maubos to. Love the smell of this. Super elegant nung amoy. You can apply this without cotton na parang essence na ipa-pat mo lang or like me, use cotton. Every morning and evening apply on cleansed and dry skin, in a gentle motion with or without cotton pad. What I love most about the Avon Anew 360° Illuminating Toner is it deeply cleans my face without drying. It magically removes the dirt and excess oil that the cleanser missed and still retains the moisture in my skin. This comes in an elegant but fragile bottle so make sure to store it in a safe place. Just like the Avon Anew 360° Illuminating Cleanser I brought this on my Baguio 4Days + 3Nights adventure and was totally afraid I’ll break on my way. I apply this with a round cotton pad and notice a clear water with a bit of yellow color. There is cooling effect whenever I use it and I do feel refreshed and awesome right after. My skin is not dry at all and it didn’t give me any purging effect. I see the resemblance of this The Avon Anew 360° Illuminating Toner with the Maxipeel Fresh and Natural Skin Purifier. The inclusion of day cream in my skincare routine was actually something I’m always thankful for. Before I wasn’t really into day creams because I will always find them heavy in a super oily person like me. The Himalaya Herbals Clear Complexion Day Cream was one of the best I have used that changed my perspective about day creams. As part of the set, the Avon Anew 360° Illuminating Day Cream is awesome and served it's purpose very well. This day cream is available for 499pesos for 50g. ● Get rid of impurity, transform into flawless skin. ● Specially designed for Asian women with its advance formulation to help moisturize all-day long while reaching a radiantly whiter skin. ● Illuminate your skin to be dramatically fair, radiant, and translucent. ● Oil-free, non-greasy and lightweight texture that can effectively moisturize throughout the day and make skin whiter, fairer, and bouncy. ● At the same time, bring broad spectrum protection to skin DNA from UVA/UVB. ● Gentle to Skin. Non-comedogenic. Suitable for sensitive skin. ● ANEW Advanced Technology Tested. Proven. Age Intervention. This tub is enormous and it will last you long. Super sulit. The Avon Anew 360° Illuminating Day Cream leaves my face well-hydrated and gives a dewy finish. I am also happy that it has SPF 20 though I still use a separate sun screen for my routine. Dark spots and past acne marks have been clearer and brighter every single day. I enjoy how I splatter this baby in the morning and just wait less than 15 seconds to dry. It looks heavy when applied but easily absorbed the skin so you can use before makeup. The smell of this is soooo addicting that I even don’t realize I sometimes over apply. The Avon Anew 360° Illuminating Day Cream reminds me so much of the Nivea Creme Original. What I find funny is that between Avon Anew 360° Illuminating Day Cream and Avon Anew 360° Illuminating Night Cream, I clearly thought that the latter will be heavier. For a night cream I have this fetish on heavy products. The night cream is so lightweight I even have doubts whether it really works. I even consider the Avon Anew 360° Illuminating Night Cream as my least favorite among the set. This is available for 499pesos also 50g. ● Helps repair 50% of sun damage within 24hrs. In 3 days, skin looks whiter. ● After 1 week of use, skin's overall appearance is improved. Skin gets fairer, smoother, bouncier and vitalized feel. Again as I mentioned above this is my least favorite among the Avon Anew 360° Illuminating Set. Amongst the products this is something that I would sometimes forget to use. Although the product itself is not bad at all and it even works, I am just not used to lightweight night creams. Just like the day cream this is easily absorbed by my skin and really gives that bouncier and smoother texture. It is not greasy and repairs the skin overnight. Love it. The Avon Anew 360° Illuminating Night Cream is the cheaper version of Olay White Radiance Brightening Night Cream. Aside from the Himalaya Herbals ClearComplexion set, I have also once used and even reviewed the Bench Perfect Skin set. The set included Face Wash, Toner, Serum and Moisturizer. I also used OlayTotal Effects set and made a video haul HERE. I love how the cleanser and toner works together. I admire using both day and night. The day cream and night cream works well but can be omitted for a better or newer product next time. I saw a blog about an Avon Anew 360° Serumand I might buy that next just to really complete the set. March 4. Reunion night swimming with my elementary friends I briefly talked HERE. March 7. Brought and used the set on my Baguio trip. I noticed brighter complexion immediately. Yung acne sa forehead ko nawala. Less dark marks/acne marks na rin. You can watch My Baguio Vlog here for raw video. March 12. I noticed less oily na yung skin ko. Brighter complexion talaga. Even without foundation ayos lang. April 10. I met with my good friend Cata for Dinner and took a selfie. This is my skin now. I hope this post helps. For other products I've tried, hauled and reviewed please check the Product Directory section. Are you using the Avon Anew 360° Illuminating Set too?